come with a nindroid mechdragon and a nya’s car. 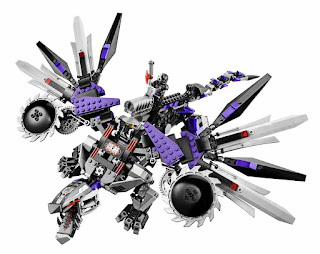 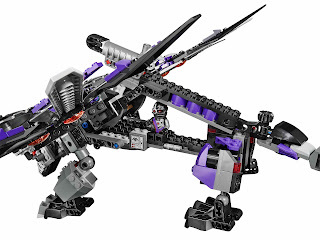 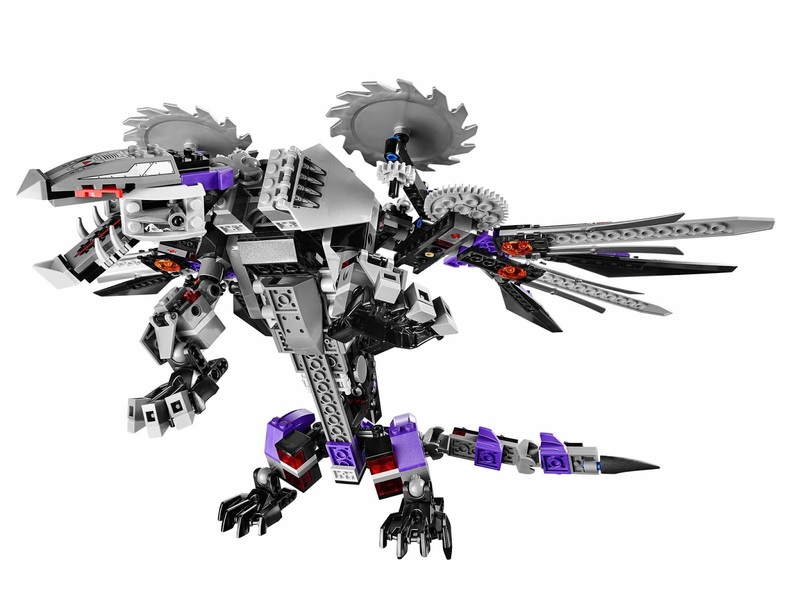 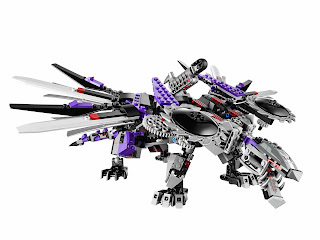 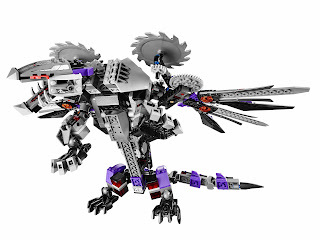 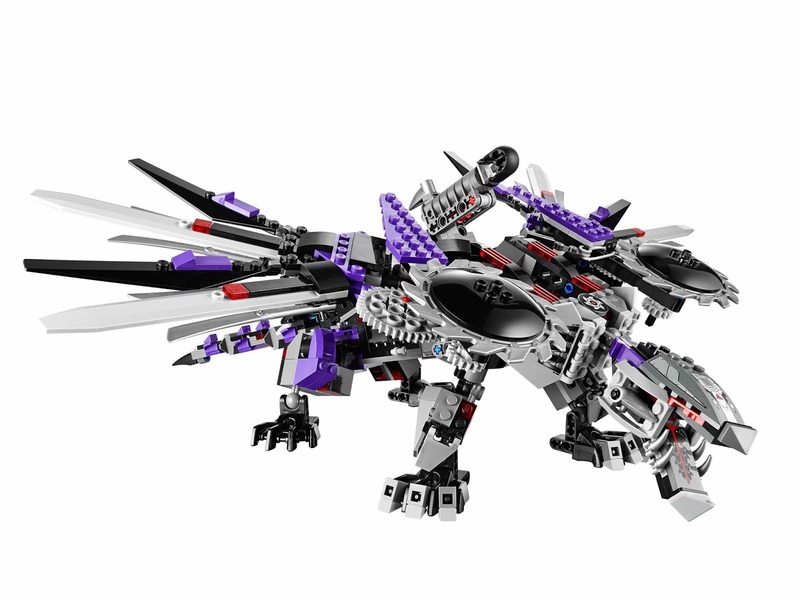 the dragon has a whippable tail, 2 detachable gliders, a built in carry handle, a shootable cannon, a rocket launcher, 2 spinnable wing blades, a removable prison cell, a weapon store, a poseable head, front legs, an adjustable mouth and nindroid dragon claws. 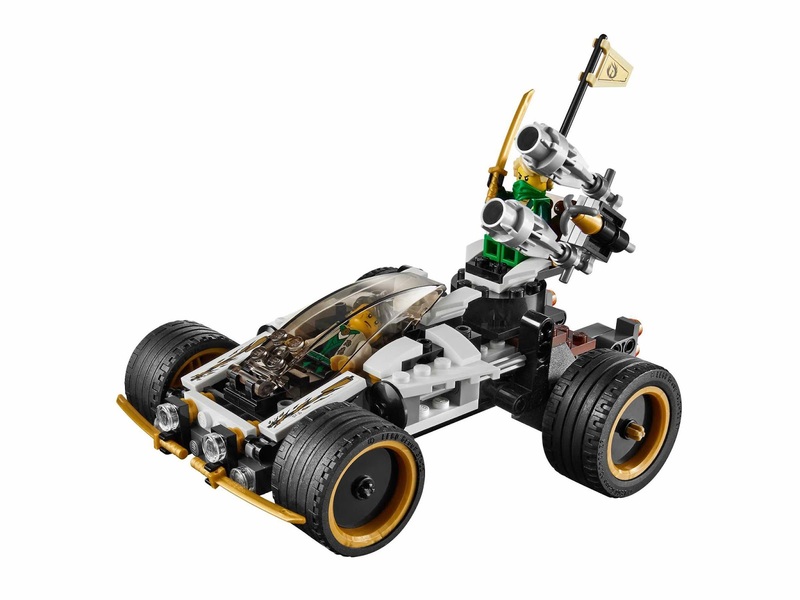 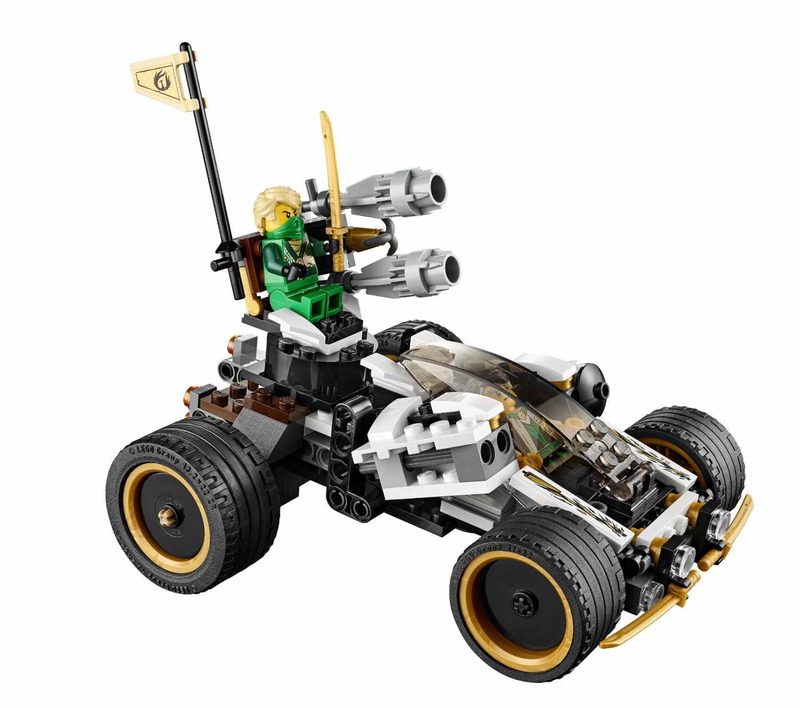 the car has a rotatable harpoon flick missile, 2 laser cannons, 2 hidden flick missiles, an openable cockpit, a samurai x flag and ninja blade. 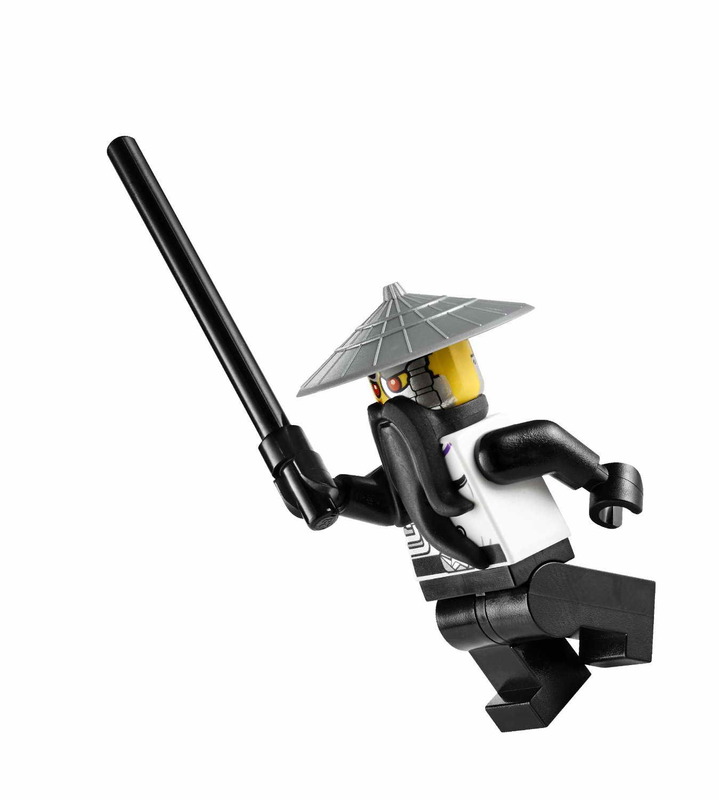 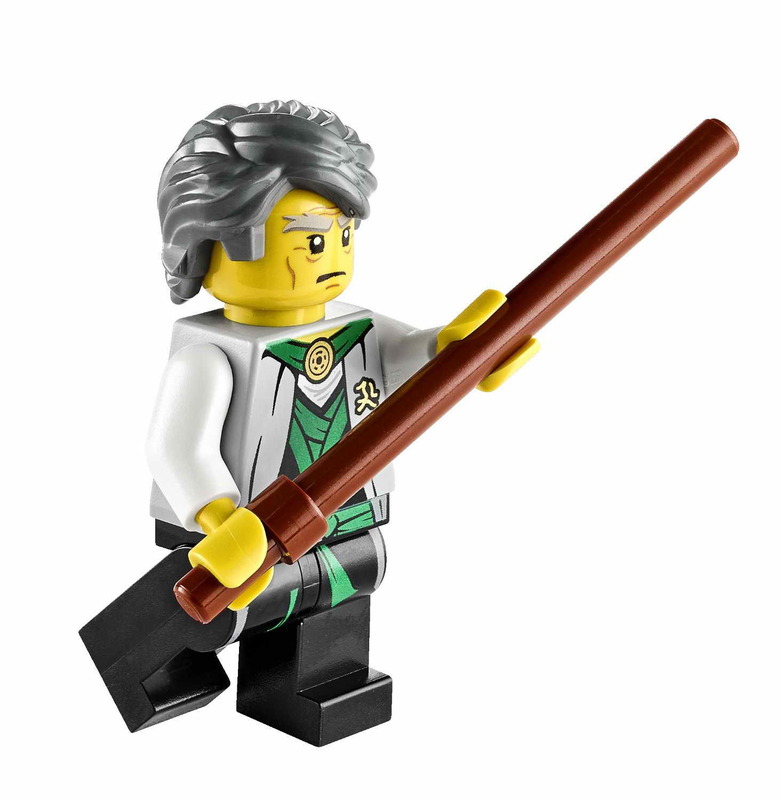 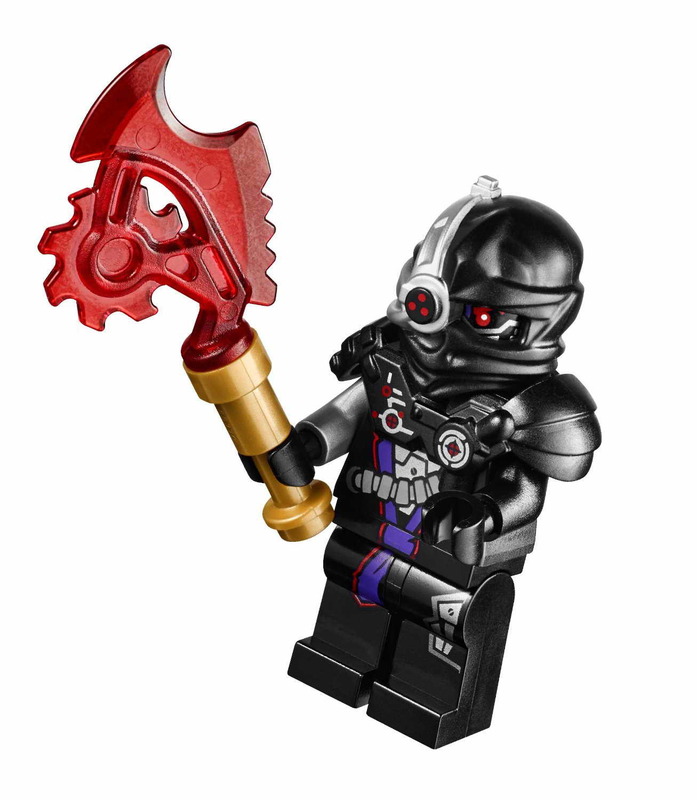 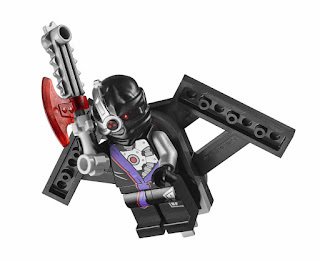 weapons included a golden sword, sensei garmadon’s staff, evil wu’s staff and nindroid saw blades. 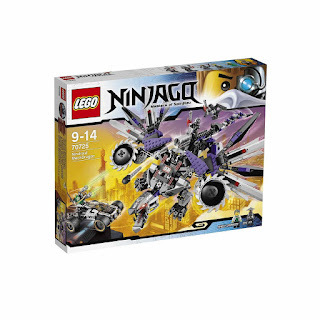 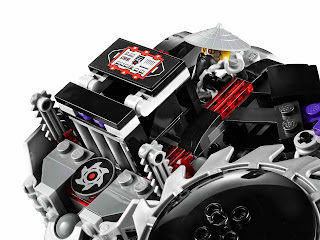 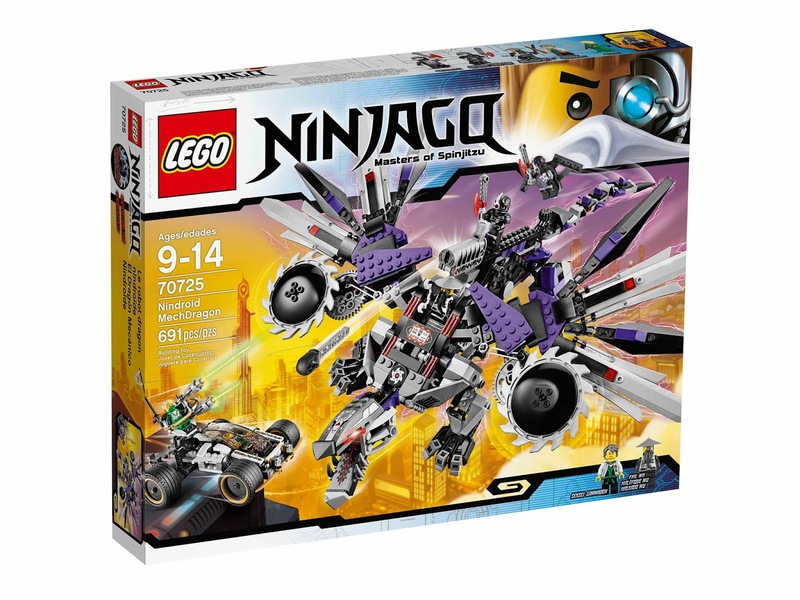 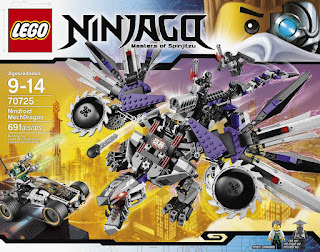 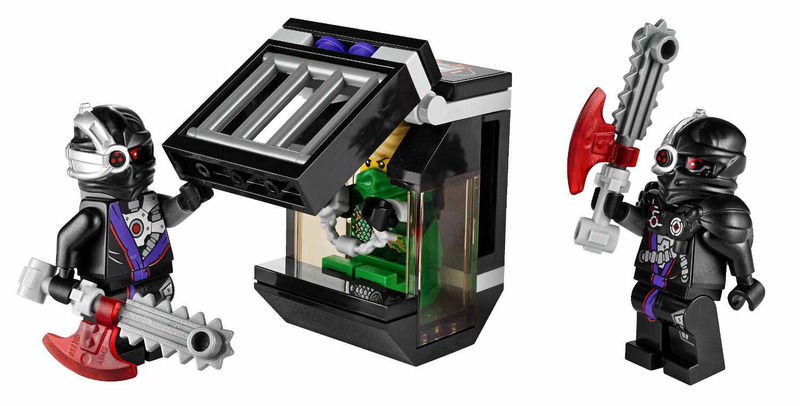 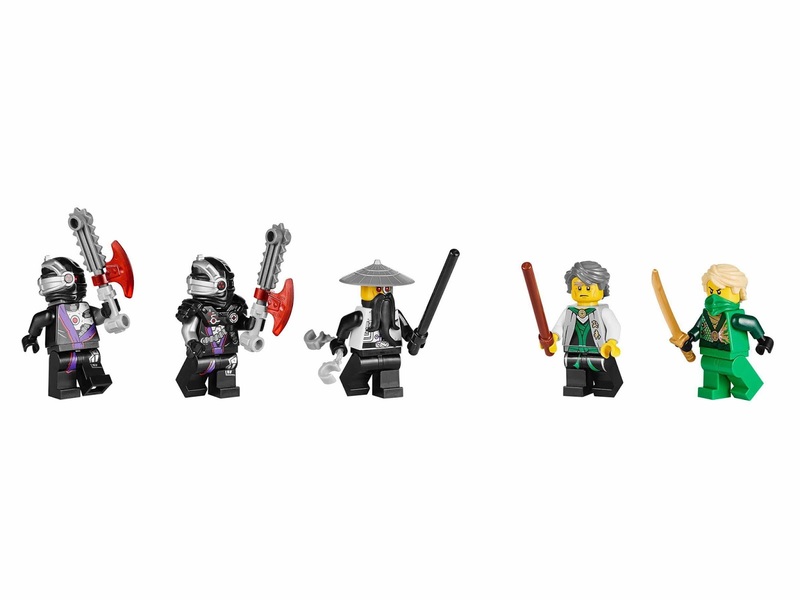 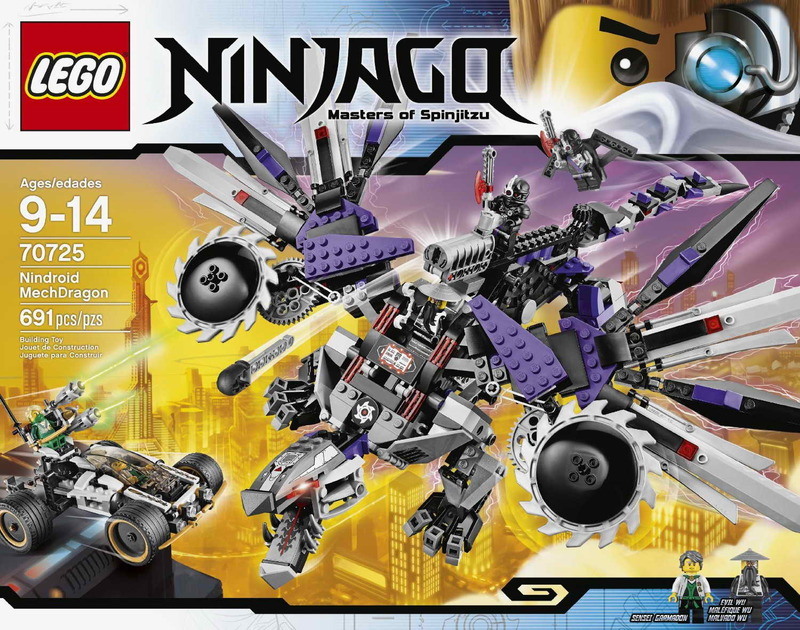 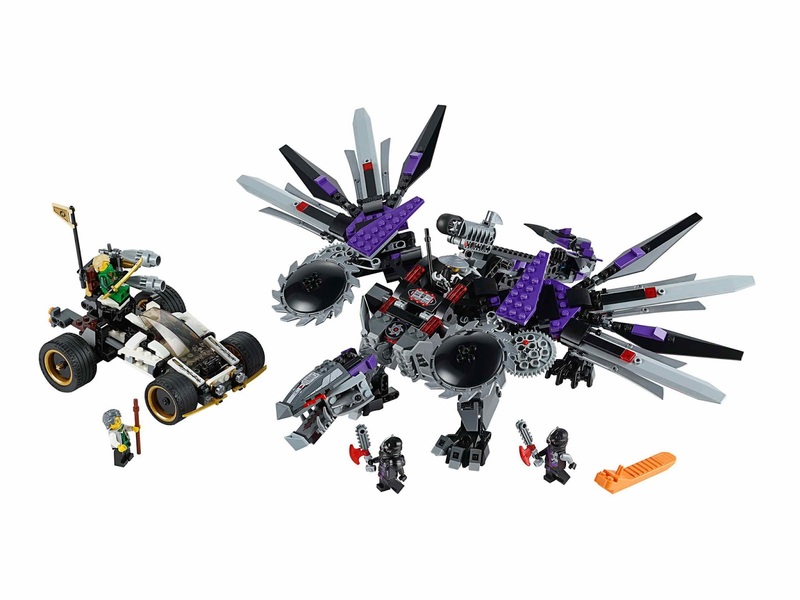 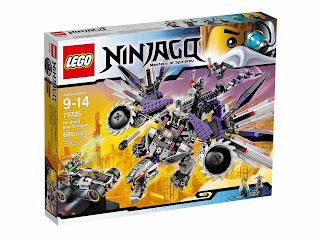 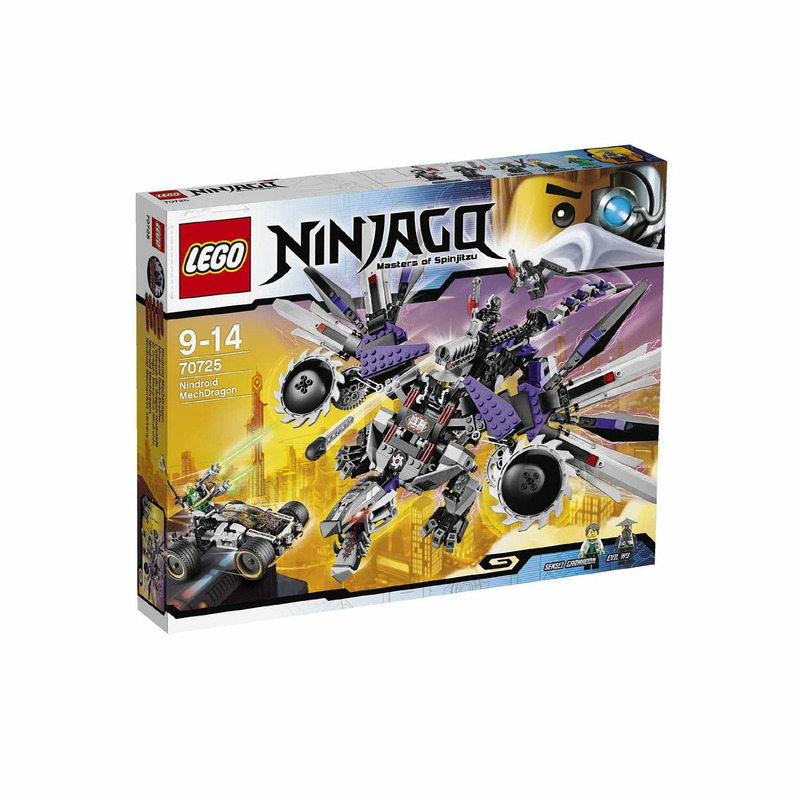 minifigs included a sensei garmadon minifig, a lloyd minifig, an evil wu minifig, a general cryptor minifig and a nindroid minifig.